It is with extreme sadness we share the news that GeoEngineers Principal Scientist Lisa Berntsen died recently while trekking at high altitude in Nepal. She was 49 years old. Memorial services will be held at 2 p.m. on November 22, 2014 at Fox Alliance Church (655 6th Ave. FI, Fox Island, WA 98333). Lisa started her consulting career in 1989, joining FishPro, Inc. as a staff scientist. She left FishPro in 1992 to help found Applied Environmental Services, Inc., an earth science consulting firm in Port Orchard, WA. She came to GeoEngineers in 2003 and was a regional leader in environmental planning and permitting, fulfilling her childhood dream of working in and with nature. Lisa had a lifelong interest in learning and professional growth. 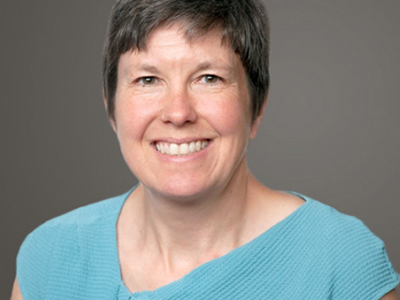 In addition to earning a bachelor of science degree in biology from Pacific Lutheran University and a master of science in fisheries from the University of Washington, she recently followed her interest in sustainable business practices by completing an MBA in sustainability from Bainbridge Graduate Institute and a PhD in philosophy from Akamai University. A number of area organizations benefitted from Lisa’s volunteer efforts. She served on The Mountaineers Board of Directors as the Vice President of Publishing for Mountaineers Books. She was on the board of directors and treasurer of Braided River, an affiliated nonprofit organization to Mountaineers Books focusing on innovative publications and programs to advance tangible conservation goals and preserve the wild places she cherished. Those of us who were lucky enough to have Lisa influence our life can attest that she lived life to the fullest and with grace. We ask that you keep Lisa’s family and many friends in your thoughts and prayers during this difficult time. For more information, you can read The Mountineers’ remembrance of Lisa.